We have to start taking care of our wrinkles and fine lines starting at a young age, they said. 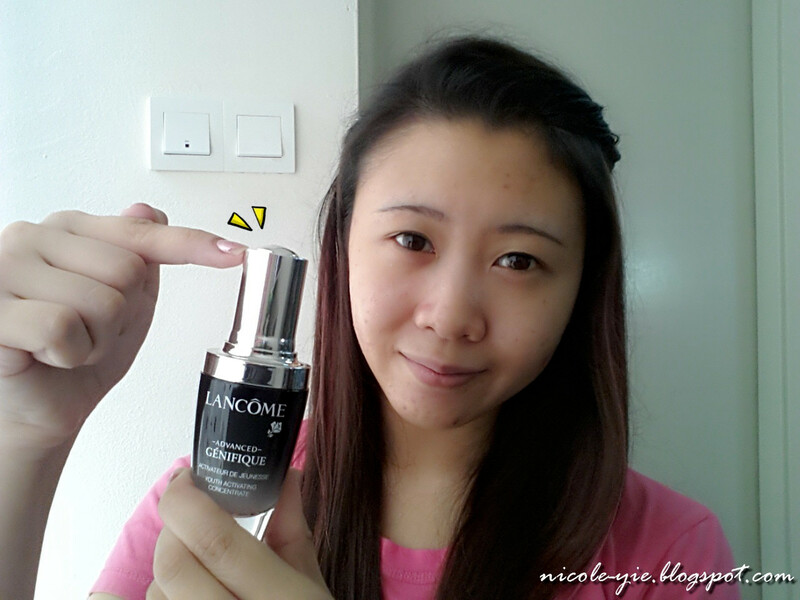 Introducing you the Lancôme Advanced Génifique Youth Activating Concentrate, a powerful anti-aging serum, for younger-looking and radiant skin. Inspired by cutting-edge science, Lancôme introduces Advanced Génifique - a serum so powerful it creates more radiant and smoother skin that you can see and feel. This innovative formula featuring Génifique's powerful complex with added biotechnology-derived ingredient is incredible to the touch, and acts on 10 key signs of youth including texture, resiliency, elasticity, firmness, sagginess, fine lines, wrinkles, radiance, clarity, and skintone. Complete with an exclusive self-loading dropper that gives you the perfect dose of serum for each application, skin will feel refreshed, renewed, and healthy. Water, Bifida Ferment Lysate, Glycerin, Alcohol Denatured, Dimethicone, Hydroxyethylpiperazine Ethane Sulfonic Acid, Ascorbyl Glucoside, Sodium Hyaluronate, Sodium Hydroxide, Sodium Benzoate, Phenoxyethanol, Adenosine, Faex Extract/Yeast Extract/Extrait De Levure, PEG-20 Methyl Glucose Sesquistearate, PEG-60 Hydrogenated Castor Oil, Salicyloyl Phytosphingosine, Ammonium Polyacryldimethyltauramide/Ammonium Polyacryloyldimethyl Taurate, Limonene, Xanthan Gum, Caprylyl Glycol, Disodium EDTA, Octyldodecanol, Citronellol, Parfum/Fragrance. It is formulated WITHOUT Parabens, Sulfates and Phthalates. Phytosphingosine which re-establishes protein synthesis and promotes the development of higher quality i.e more beautiful skin. Improves the appearance of radiance, clarity, firmness, evenness in skin tone and texture. This product comes in an advanced self-loading dropper which is to keep the bottle opening as small as possible. I love this little beautiful signature rose of the brand so much!! Before you twist the cap to open, the clicker was actually pressed down. 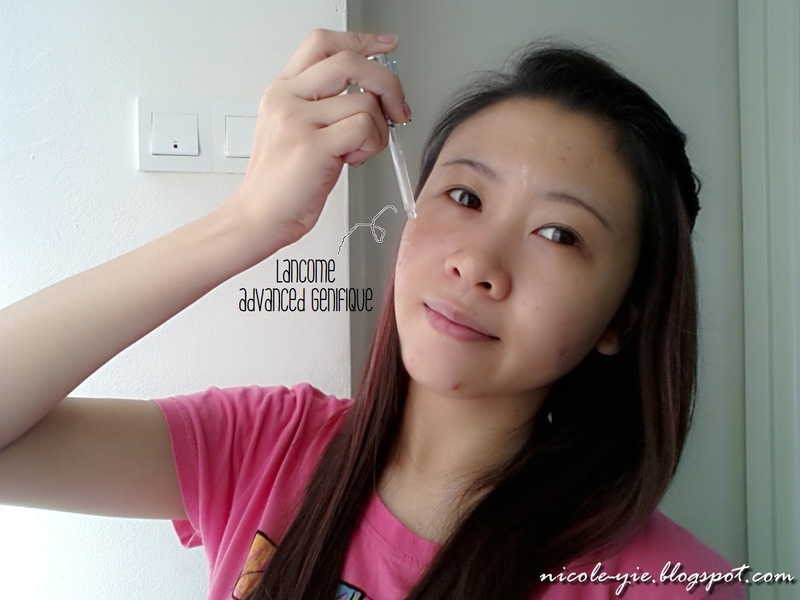 Don't you think it's so much easier for you to apply the serum now?? As you can see, it's very light and smooth. 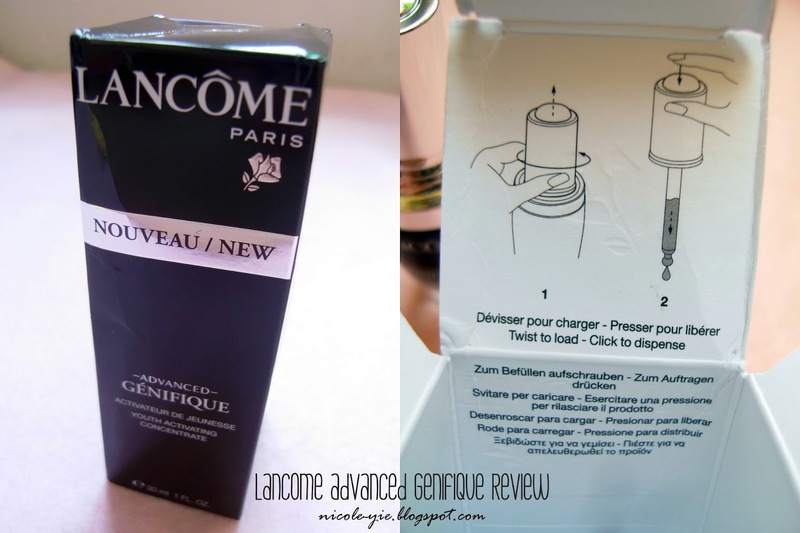 How to apply Advanced Génifique? 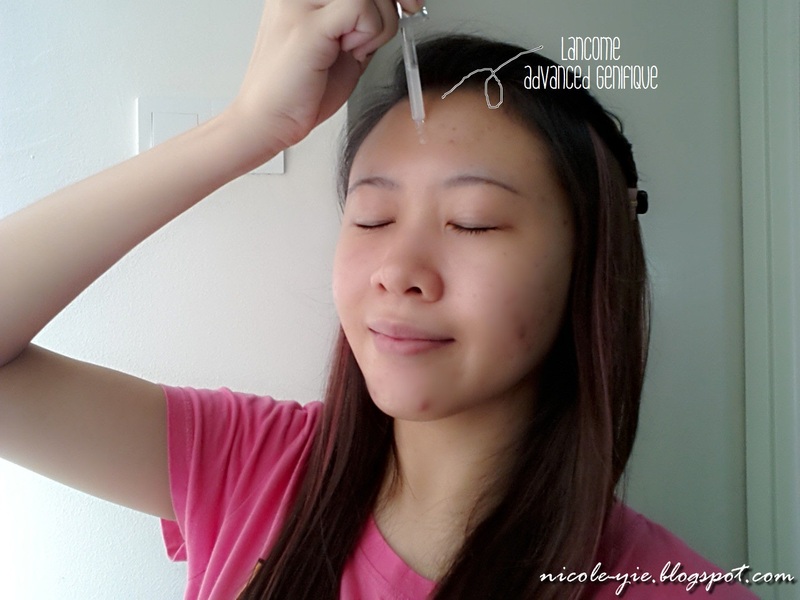 As usual, apply it in an upward circular motion to massage the serum onto your face and neck. Skin feels so smooth and soft now! 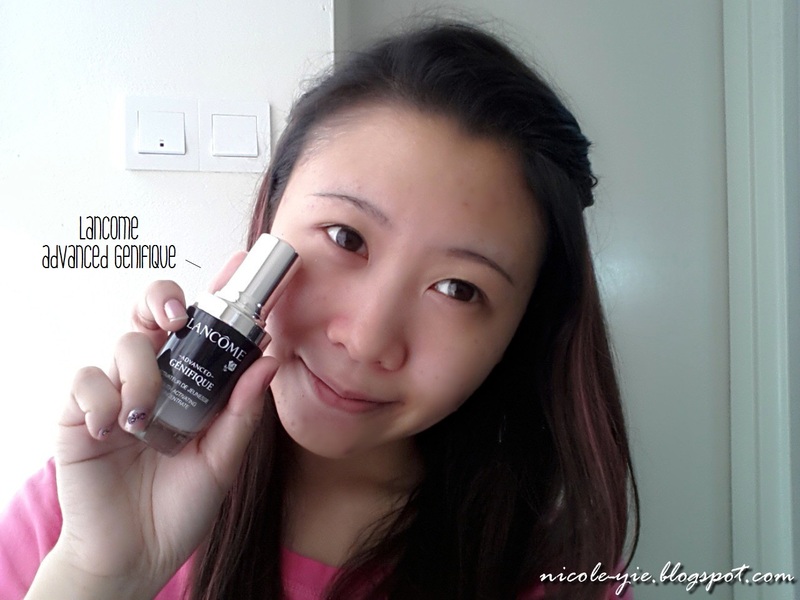 I love how light and smooth the serum is, couldn't stop massaging it on my skin! Beside's, I think that the self-loading dropper is a genius invention! 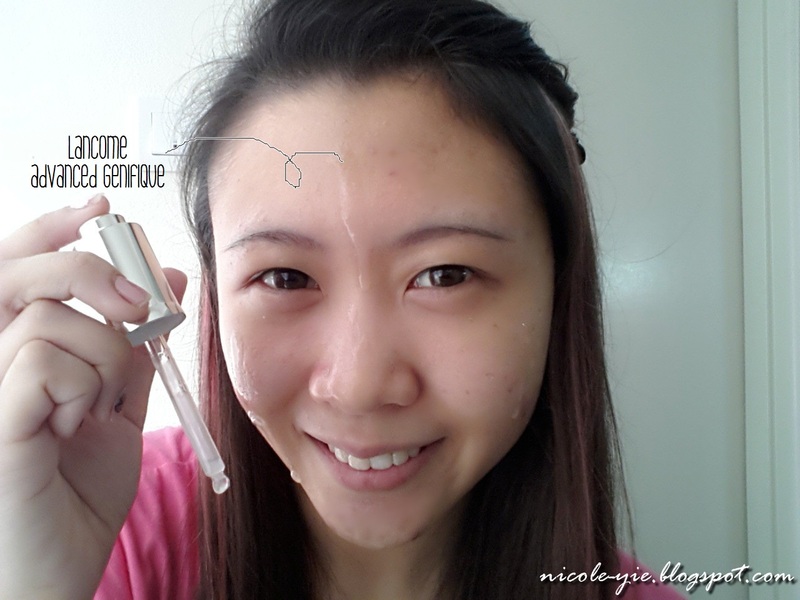 It makes my skin care routine so much easier and I can directly make the serum reach my skin without passing through my bacterialized hands first. Another thing is the bottle design was so elegant and I can't stop looking at it! I know that normally anti-aging products tends to be more oily or moisturizing, and yes, I can feel it instantly moisturizes my skin, but sometimes it might went a little bit over oily on me. Normally people don't recommend oily skin type person to use anti-aging products because it might worsen your oily skin to have more breakouts. 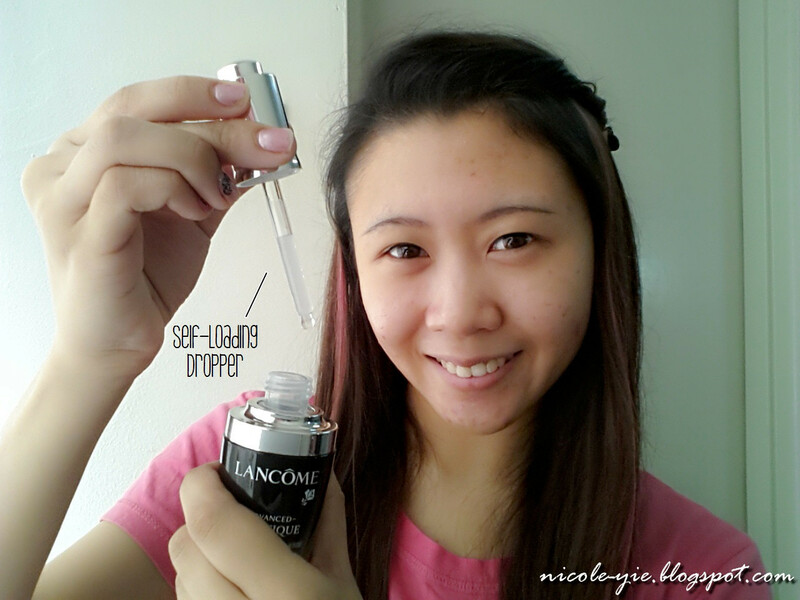 However, despite the oiliness of the serum, my skin texture did became smoother after using it for a week! 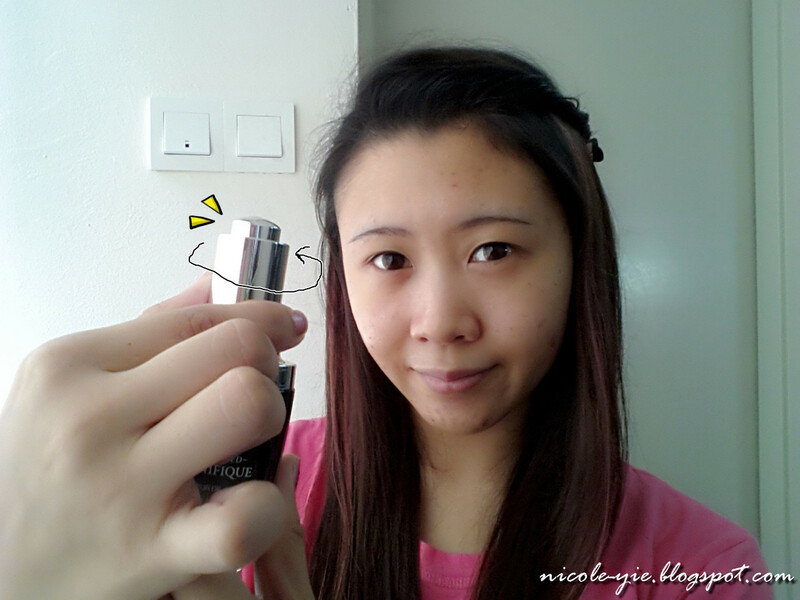 I really love the smell and the soft feeling after using it, which motivates me to use it everyday. 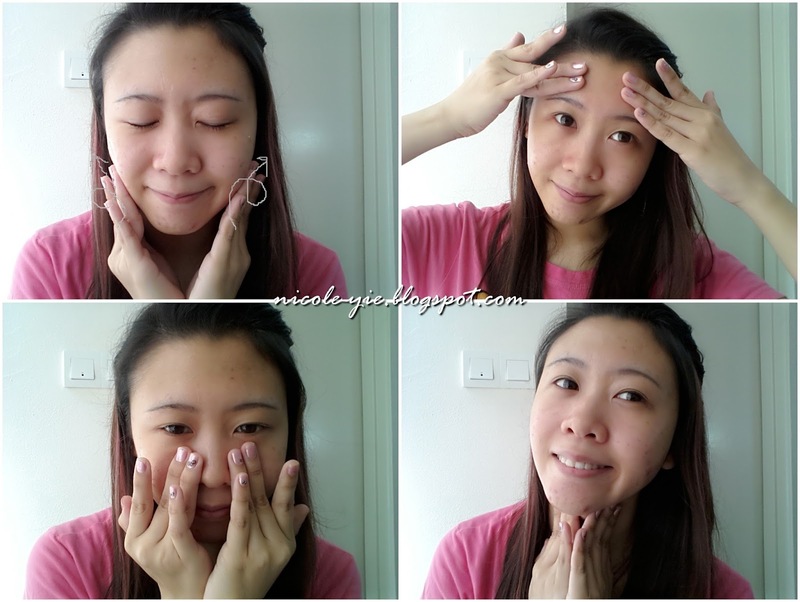 I don't really have obvious fine lines or wrinkle now as I'm still young, but I will still be using it as my deep moisturizing serum, because my skin, although it's combination to oily type, it was actually dehydrated deep inside my skin, which was the reason why I still have acne. (I did skin analysis before so I knew it). 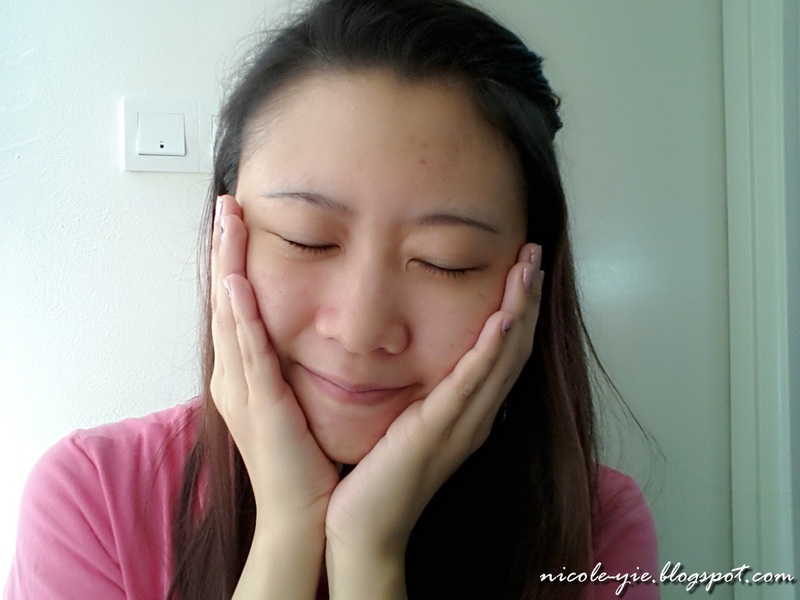 hmm~~i seldom using beauty things.. Really out! Any suggestion for me Nicole?